Recent analysis by a UK money comparison service has found there’s an increasing reliance on personal loans. In the last two years, 25 percent of the three million loan enquiries to the comparison site was from applicants wanting to borrow half their annual salary. Perhaps more worrying still is the fact that 10 percent of applicants asked to borrow more than their yearly income. The personal debt burden in the UK is currently at its highest level since the financial crisis. 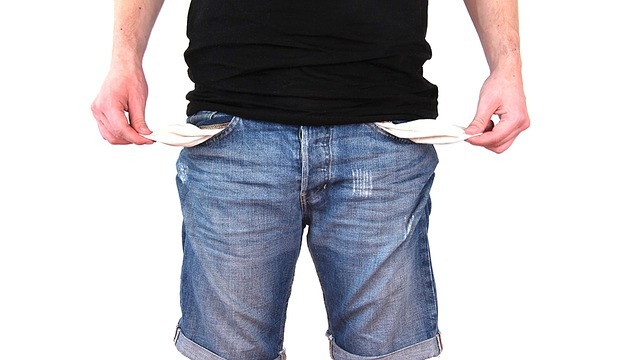 The latest research shows that 6 million Brits worry they will never be debt free, 25 percent are currently struggling to make ends meet and 62 percent are concerned about their level of personal debt. One of the biggest increases in lending in recent years has been in the form of personal loans, which offer borrowers more money and longer repayment terms than payday loans. Personal loans are typically available from banks and building societies, but now other finance providers such as firms like Wonga are also getting in on the act. The research shows that the increasing availability of personal loans has led to a rise in borrowing to fund things like new car purchases, holidays and even to pay off older and more expensive debts. Having looked at three million loan enquiries received from January 2015 to March 2017, the comparison service found the average sum sought had increased by 3.5 percent, from £8,650 to £8,958. 28 percent of those enquiries were for loans that were equal to at least half of the applicants’ annual income, while 10 percent wanted to borrow an average of 131 percent of their annual earnings. That’s the equivalent of borrowing £26,200 while earning a salary of £20,000. The research also explored the most popular reasons cited for taking out a loan. It found that 38 percent of all loan applicants wanted to buy a car, while 24 percent planned to consolidate their personal debts. The third most popular reason for applying for a personal loan was to fund the cost of home improvements, with homeowners wanting to borrow an average of £10,357. Next were holidaymakers, with 3 percent looking for a loan to pay for a trip away, followed by the betrothed, who sought an average of £7,461 to put towards the cost of their big day. Over the past year, household incomes have grown by just 1.5 percent while the value of household debt, including credit cards, personal loans and car loans, has risen by 10 percent. One of the biggest sources of personal debt is the increase in personal contract purchase (PCP) plans, which are increasingly being used to effectively lease cars. Whatever the reason for the increase in personal debt, the number of people borrowing to top-up wages is poised to reach its highest levels since 2008. And clearly, given just how damaging the financial crisis was for so many people, that’s a worrying sign for all. Has your personal debt risen over the last two years? Are you concerned about your ability to make debt repayments? Please share your thoughts in the comments below.